Evan Bayh of Indiana is not entirely a lock any more, and Democrats are no longer assured of a Senate takeover. Part of the August of Democratic Complacency that revolved around robust poll numbers for Hillary Clinton (and the assumption they would get better and better as Americans shrank in revulsion from Donald Trump) was a consensus that Democrats would very likely win back control of the Senate and might even get the House if Trump continued to implode. Donkey Party optimism about the Senate actually began to spike in July when former senator Evan Bayh suddenly jumped into the race for the seat of Republican Dan Coats, who is retiring. Bayh had big sacks of money left over from his previous Senate campaigns and had always been very popular among Hoosiers. Republican nominee Todd Young looked like a sudden loser, and a lot of observers figured the GOP would concede the seat. But pro-Republican outside groups did not get the memo, and they’ve already spent $5 million on the Indiana Senate race, with more in the pipeline. 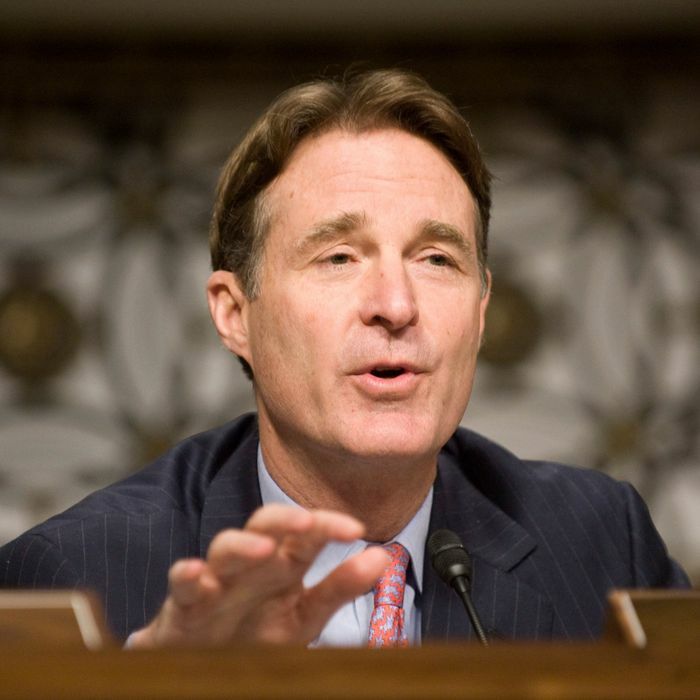 And although the Bayh name may be minor magic in the state, the former senator has some baggage, too, including tenuous residency in the state during his recent years as a lawyer-lobbyist in sinful D.C. While the Democrat is still the favorite, the polls are tightening noticeably, and Indiana’s one state where Trump is unlikely to drag down the ticket. If Bayh’s no longer a lock, the whole proposition of a Democratic-controlled Senate gets dicier. And indeed, the prognosticators have become more cautious, with the Upshot and Daily Kos both now giving Democrats a 54 percent chance of regaining control of the upper chamber. Wisconsin and Illinois are still states where Republican incumbents are in deep trouble. But Republicans are narrowly favored to take a seat back in Nevada. Recent polling shows Ohio and Florida likely falling off the Senate battleground map. And vulnerable GOP incumbents in New Hampshire, North Carolina, and Pennsylvania are looking stronger, though they are far from being out of the woods. If Nevada falls to the GOP, then Democrats will need to pick up five seats elsewhere to get to 50 seats, which is looking like a bit of a stretch at present. The 50-seat scenario, moreover, depends on Hillary Clinton being elected president and Tim Kaine breaking the tie. Even that proposition is looking less certain than it did just a couple of weeks ago. If it is Evan Bayh’s fellow Hoosier Mike Pence breaking the tie, then the odds of a Democratic Senate drop like a rock.